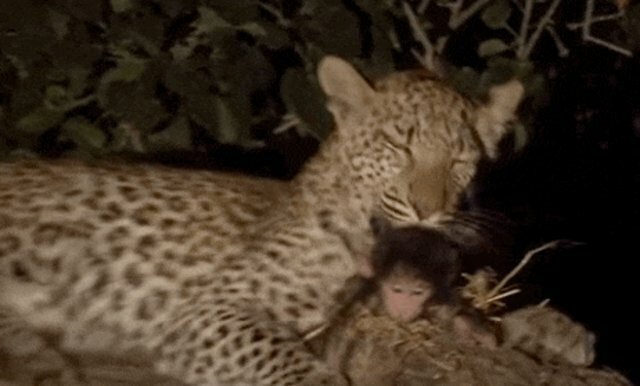 In a twist that rivals the plot of a greek tragedy, a leopard helps a day-old baby baboon escape the deadly clutches of hyenas. 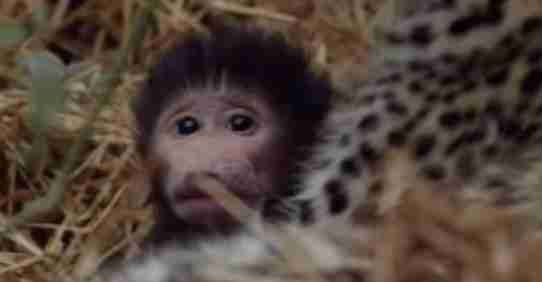 Why was the baby all alone in the jungle? 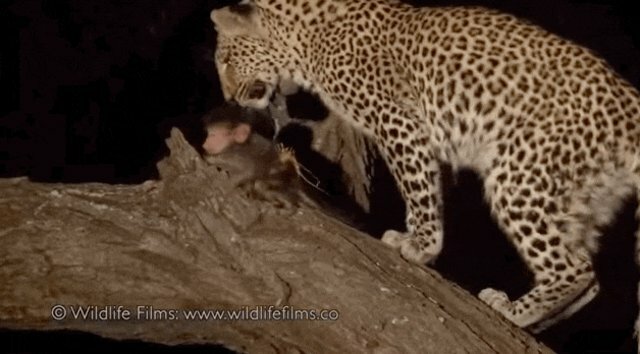 The leopard had just killed the baby's mother. 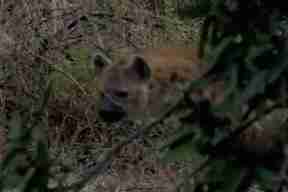 The moving and classic clip, which comes from the film Eye of the Leopard, begins just after the mother baboon has died, at the hands of the leopard looking for food. As the leopard is carrying away the body, something rolls out from the folds of fur: a tiny day-old infant. While the leopard doesn't seem to know what to do with the baby, the baby appears to take to the leopard as though she were his new mother. And the young leopard seemed torn between her instincts to kill and to care. When the leopard spots hyenas close by, she takes the baby between her teeth - but only to relocate him to the higher and safer branch of a tree. 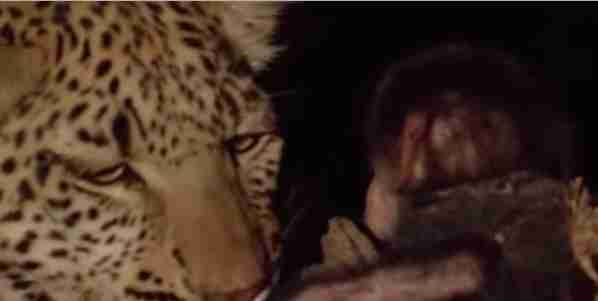 Where the video ends, the leopard is holding and grooming the orphaned baby in an incredible display of affection. 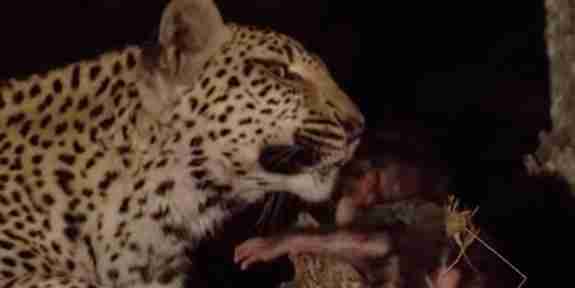 It's hard to say what the leopard felt or why the animal took to the baby as her own child. But her behavior is a testament to the complex emotions of animals, and the never-ending drama of the natural world, where we human beings are actors and awe-struck audience at once.